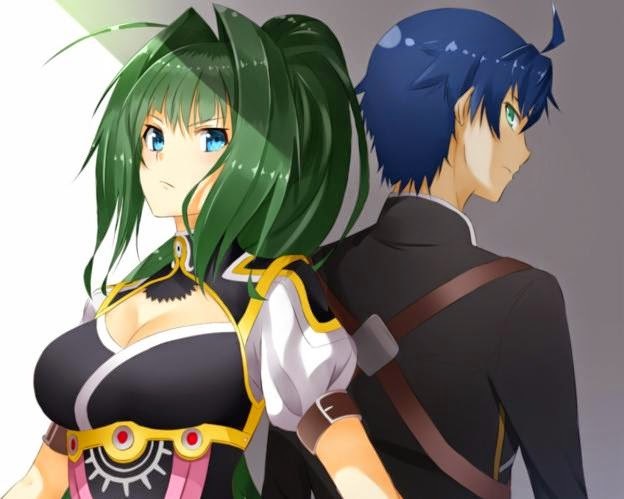 Many animes feel like JRPGs, so much so that its not even funny or special anymore. "Tears To Tiara" did it first for me, and then many followed soon after. And then we have "Hitusgi No Chaika", another one of those animes that feels A LOT like a traditional JRPG story. Fortunately for us, the story IS pretty good. The characters are likable, they have decent personality to them, there are a suitable amount of action scenes, and to be fair, it does a good job at joking around when the time is right. 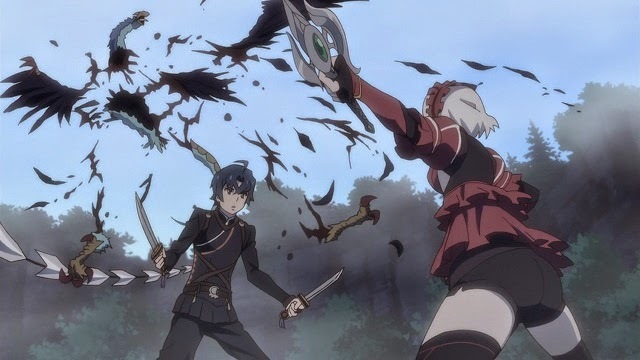 There's a lot to like about "Hitsugi No Chaika", even if it does feel like a very traditional JRPG story at times, and for its cause, I do appreciate it for that. 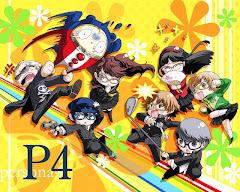 I seriously wouldn't have it any other way, and as it stands, its a brilliant adventure full of action, exploration, bickering, quirkiness and character bonding. It may not have ended off in the best of notes, but at least a second season is coming for that. Meet the killer siblings, Toru and Akari. The opening song is "DARAKENA" by Iori Nomizu. Fortunately for me, I'm a sucker for Iori Nomizu (I love most of her songs, especially the "Kore Wa Zombie Desuka" opening themes), and "DARAKENA" is one of her stronger songs IMO. There's a lot of tension in it, more so than any songs that she sang previously, which works fine for "Hitsugi No Chaika". 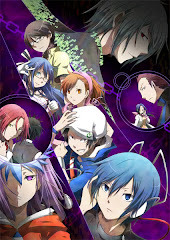 The ending theme is "Pleasure Theory" by Coffin Princess (which assume consists of certain seiyuus int he anime), and as an ending theme, its pretty great. Its fast, it has a dark, techno beat that makes it rather catchy. Definitely not your usual slow, boring ending theme. Its simple, "Hitsugi No Chaika" starts off strong, and doesn't let up. The plot is interesting enough from the get go, and only becomes more interesting as the characters start to reveal more about themselves. One good thing about this anime is that there are only 3 main characters, instead of an overblown cast, it waters itself down to only these 3. Well, from an anime that's only 12 episodes long, character development is going to be one of its downfalls, but since "Hitsugi No Chaika" only talks about this 3 most of the time, they feel..."important" enough. To top if off, 2 of these 3 characters are really "powerful" characters right off the get-go (not a fan of Chaika when she first turns up). 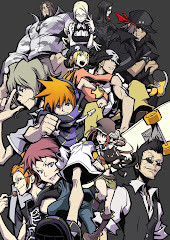 Of course, there are other characters, like Gilette's group, which serves as a rival team to Toru's group, though they aren't really too focused on, which kind of turns them somewhat trivial. Though I do have a feeling that they'll play a far stronger part in season 2 (I mean, come on). Everything else works well, conversations between the 2 siblings are funny, the action is fairly appealing (though Frederica spoils most fights if she takes part)...everything feels rightfully in place here. Yeap...there's going to be a bunch of monster killing in this one. Toru Acura is a 20 year old retired soldier (a little too young to be retired, no? ), and he spends his days wasting away in the woods to look for food to feed himself and his younger sister, Akari, who are living together. One day while in the woods, he runs into a silver haired girl, who calls herself Chaika. Toru finds this girl peculiar, as she speaks in a weird manner. She asks for directions, but they are both attacked by a unicorn, a powerful monster known for its relentless attacks. Toru is a saboteur, an old warrior archetype who specializes in assassinations and their loyalty to their masters. On the spot, Chaika hired Toru to protect her and fight the unicorn. They managed to defeat it, and Toru brought Chaika to town, where she treated him a meal as his reward. His sister soon joins them, and Chaika decides to hire them both for her cause...to retrieve the body parts of the old demon king, who turns out to be her father. 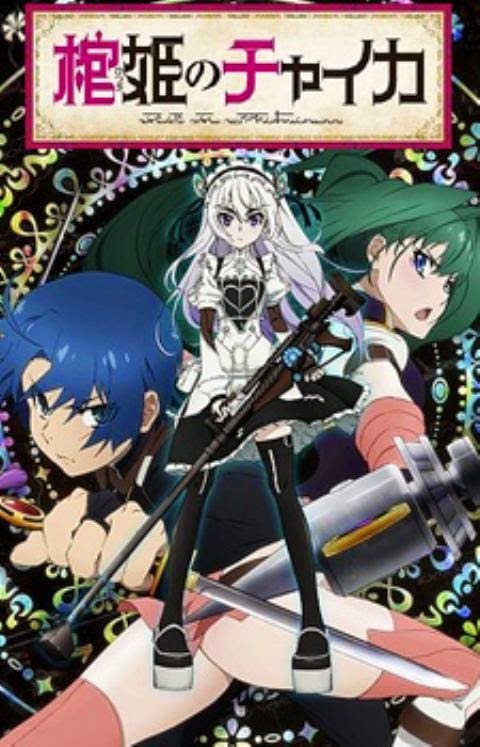 "Hitsugi No Chaika" is a brilliant adventure overall with a lot to see. For a party of 3 (4 later on), Toru sure has quite a few things to look forward to, and so do us viewers. With the unsettling ending and the upcoming second season, there's really nothing more that I can say. The excitement within me is building up. this is going to be a superb sequel.